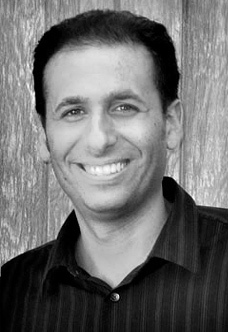 Gabe started his career as a post-mixer in 1995 in Washington DC. His background in music started at age 4 when he began taking piano lessons. Having 14 years of classical piano lessons under his belt, Gabe began exploring two career paths-post-mixer and composer. Over the years, he has mixed shows like America's Most Wanted, VH-1's Behind the Music and shows for Discovery Channel. He's also mixed promos for ABC, NBC, HBO, FOX, Discovery Channel, WB, Disney and more. He has also mixed commercials for McDonalds, Mobil, presidential political campaigns and other high profile clients. As a composer, he has scored for TV and composed TV themes. His music has been used in many places, ranging from film trailers, game trailers, NBC, ABC, CBS, FOX, SciFi Channel, Oprah, and Discovery Channel programs to The Daily Show, Pringles commercials, movie cues and video game cues. In 2006, Gabe ended his mixing career to focus on his trailer music company Epic Score full time.